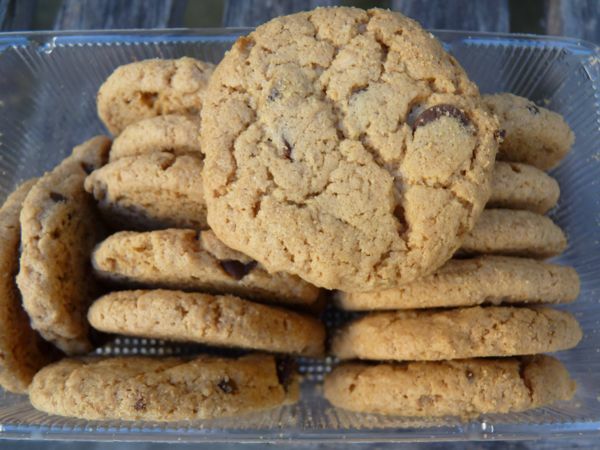 Today was Day #6 of Chocolate and Gluten Free Cookie Theme Week. Yesterday, I over-ingredient-ed a package of cookie mix, and while the results were still tasty, I should like to try a second batch to perfect them. 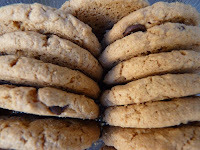 The nice thing about buying store-bought cookies, is that they're more likely to have been honed to perfection already. 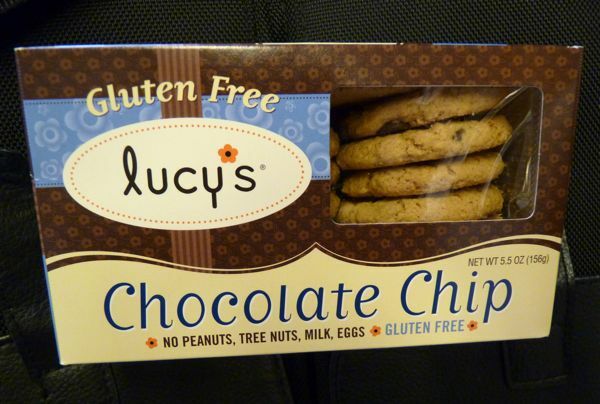 These Gluten Free Chocolate Chip Cookies from Dr. Lucy's LLC, were light and crispy and very satisfying. Note to those who are sensitive to gluten: these cookies were made without tree nuts, peanuts, milk or eggs, but they do contain some oats.